Armenia as a cultural and political entity has existed for over 3000 years. Buffeted for the last 1000 years between Russians, Turks, Persians and the various peoples of the Caucasus, Armenians have survived the looming presence of much more powerful neighbours. The existence of the country has been recorded by mapmakers since the beginnings of cartography - including the various configurations of borders of the Armenian homeland which have shifted back and forth with the political fortunes of the peoples. This book brings together a collection of the most important maps of Armenia, from the oldest known version - a Babylonian clay tablet of the 6th century BC - to the renderings of Greek and Alexandrian cartographers, early Christian maps as well as versions from Ottoman and other Islamic centres. The text includes works by some of the greatest mapmakers, including Mercator and Ortelius. The cartographic treasures in this book include maps from the most important collections in Europe and America. 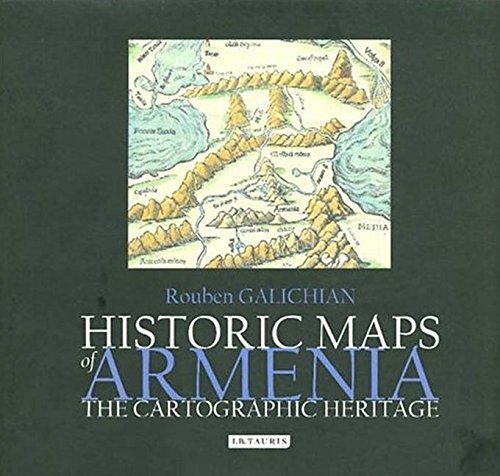 With his detailed descriptions of 125 and his introductory text, the author has produced a work of reference and artistic distinction, which should prove a valuable tool to all who follow the history of Armenia, the Caucasus, the Ottoman and Iranian worlds, as well as to collectors and enthusiasts of cartography.